Early on, even as we were founding Mojang, we talked about the idea of collaborating with other indie game studios to release more great games. We wanted to find studios who have our philosophy of developing games, which is staying close to the community and treating it as a service. 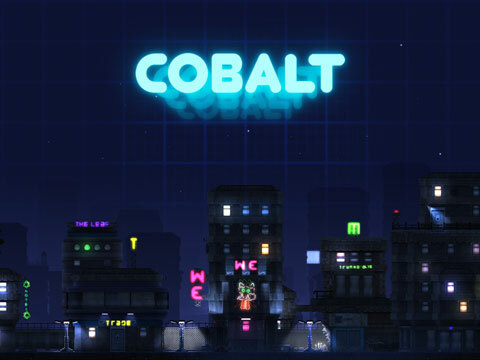 Today we’re announcing our first game developed by a 3rd party: Cobalt by Oxeye Game Studios. Oxeye was founded by Daniel ’thewreck’ Brynolf, Pontus ’Kinten’ Hammarberg and Mojang’s very own Jens ’jeb’ Bergensten. Additionally the music in Cobalt is made by Mattias ’Anosou’ Häggström, who is also making the music for Scrolls. Since Jeb is already working with Mojang, it was very natural for us to talk to Oxeye first about a collaboration. Actually during the past few months, most part of the Oxeye team have been residents in the Mojang HQ. The Oxeye team will be joining us at PAX to demo Cobalt at the Mojang booth. Fans will be able to try the game and take on the developers in death match challenges. Introduction to CobaltIt’s hard to be a metal face. Agent Cobalt has learned as much after finding the Space Exploration Foundation’s lost colonization ship The Seed at planet X9CSEC5.5B-blue, Trunkopia. It was once built by a one million strong development team back on Earth, but disappeared merely 30 minutes after its subspace jump. Whatever happened on board during its misadventure, sanity was not invited. The game is initially developed for PC platforms Windows, Mac and Linux. The Windows version will be released first. The game’s map editor will be included with the release, and will be easy to share and find other player’s maps. Additionally the game is written mainly in Lua (a script language), which allows for easy modding. Make sure to keep up with the latest development at playcobalt.com. We’re aiming to release Cobalt ‘this fall’.